The State Prosecution has raised an indictment against Vlatko Jarak, in which he is charged with forced transfer and unlawful detention of Bosniaks in Stolac. The indictment was forwarded to the State Court to be confirmed. Jarak is charged with taking part in crimes as a member of the First brigade of the Croat Defense Council (HVO) „Knez Domagoj“ in July and August 1993. The BiH Prosecution charges Jarak of ordering two members of HVO in July 1993 to tie the hands of three Bosniak civilians with barbed wire, after which they took them to the Kostana hospital in Stolac. 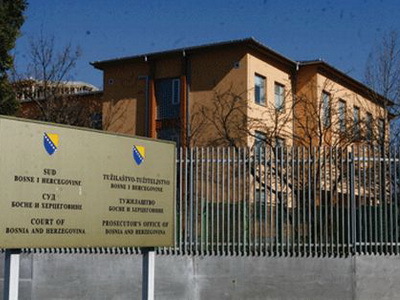 According to the indictment, unlawfully detained Bosniak civilians from Stolac were held in this hospital, after which they were taken to the Gabela camp near Capljina. “The indictment charges the indictee of taking part in the forced transfer of Bosniak population to Blagaj on August 3rd and 4th in 1993, by removing civilians from their homes and transferring them to the High school center and TGA factory in Stolac”, states the BiH Prosecution. The detained civilians, according to the indictment, were held all day in the sun without water and food; they were stripped of gold and other valuables, and the men were separated and taken to an unknown location, while women and children were taken to Blagaj. Vlatko Jarak, who is also known as Doctor, is charged of having visited the home of a Bosniak family, where he intimidated them, and because of these threats, a female person from the family committed suicide. According to information from the BiH prosecution, Jarak currently resides in Stolac and is defending himself while at liberty.